Why Choose Pierre Paul Driving School? Over 10,000 safe divers are out there in the streets of New York because of our services. Pierre Paul driving school has one of the highest passing rates in any driving school out there around us. We offer classes for all ages and cater to students of all levels of skill. We have guaranteed price match against any other driving school, and one of the only schools that gives you a whole another free package if you do not pass your test in the first try! We believe that everybody should be able to afford a good package full of lessons which will serve everything they need to know to safely past their driving test. For this reason we have made the decision to price match any other driving school out there! 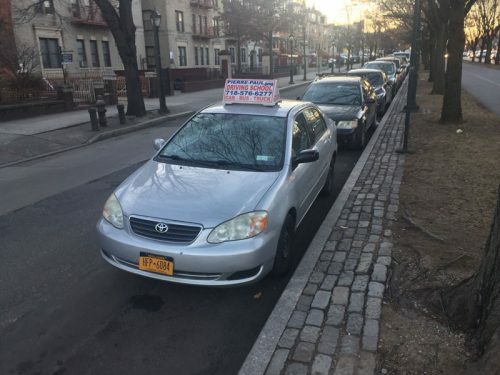 Yes, you have heard that right – we guarantee the lowest price compared to any other driving school in Brooklyn New York. We have a success rate of 97% this means that amongst all the students who come in to take our lessons, 97 out of every hundred student pass their driving test! This is very high and we have worked very hard to be able to teach certain students in custom ways that makes sense to them right away. You will leave the lesson knowing exactly how to maneuver in the roads, whether you are a beginner or an intermediate to start. Our instructors are very patient and experts at finding out what kind of learner you are from the moment you step in the car. When you have a passing grade as successful as ours, you are able to offer some pretty unique and cool things to your customers. Pierre Paul driving school is one of the only schools where you can get a guarantee on your driving lesson package. Meaning, if you do not pass your test after you take our lesson – we will give you a whole another package right then and there no questions asked at no additional charge! We are that confident that you will pass your driving test after you meet us. We truly care, at Pierre Paul driving school we have taken the time to sit down with world-class driving instructors to map out all the things that our students struggle with when passing their driving test. We have people on board who have a special set of skills which deal just with students who are very nervous. With years of experience, we are able to convey the rules and regulations of the road in a manner that seem seamless to even new drivers who was having sweaty palms before they walked in. It’s one of the most for fulfilling things we have done as a business, by putting our heads together we have created programs that specialize in making sure you feel confident on your test day no matter how nervous and scared you felt when you first walked in. Our driving instructors are all DMV certified. They have gone through not just paperwork but an extensive amount of experience in being able to teach both teens and adults of all ages how to drive better on the road. Brooklyn can be a busy place to take a test and being certified around the area we have multiple locations where we are able to take you for your practice rounds. We have the most flexibility by far than any other driving school in Brooklyn, New York. We are available to pick you up the earliest and drop you off the latest. We pick students up as early as 7 AM in the morning and drop students off as late as 11 PM in the night. We are able to provide such flexibility because our instructors are fully dedicated into their positions. 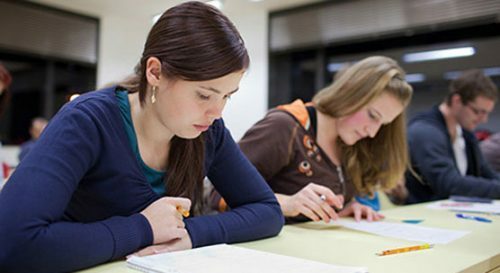 They are very patient and take their time to make sure you understand every point that you need to know to pass your test. Whether you live all the way downtown Brooklyn or right close to our Business location, we will pick you up and drop you off on time without any hassle. 8. We speak four languages! Part of caring about the community and providing our services to all walks of life we have our instructors be trained in four languages. Whether you speak English, Spanish, French, or even Creol – our instructors will be able to fluently take care and patiently teach you how to drive in your own mother tongue. If you read our reviews on Google, you can see that we have the most consistent and happiest customers around here. Our services are praised and loved by many people who are now responsible drivers out on the roads of New York. Pierre Paul Driving School Driving Lessons is constantly evolving, striving to make sure we are bringing the best possible service to you and your style of learning. Give us a call today to find out more! Feel free to get in touch with us with any questions.